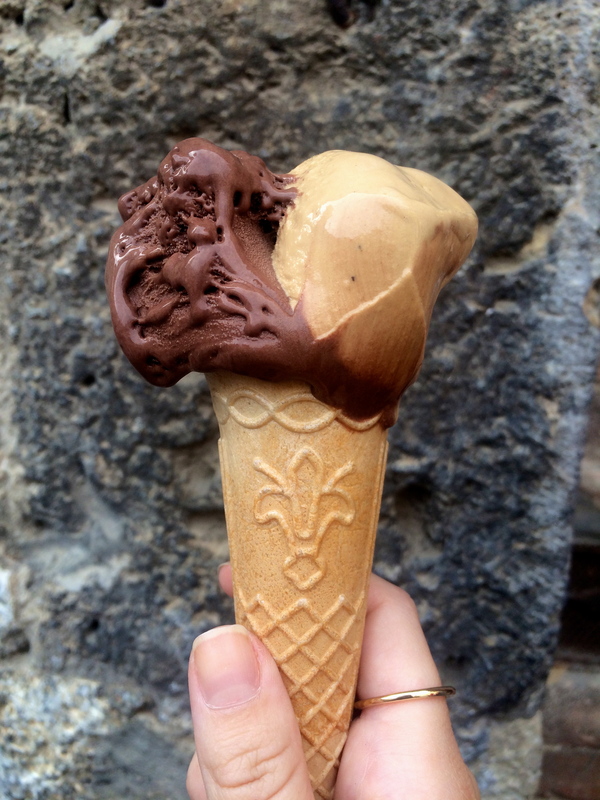 This weekend, on a day trip to Pisa, Sienna, and San Gimignano, I was lucky enough to consume the best gelato I have ever tasted (and after working in a gelato shop and living in Italy, I have tasted a lot of gelato!). 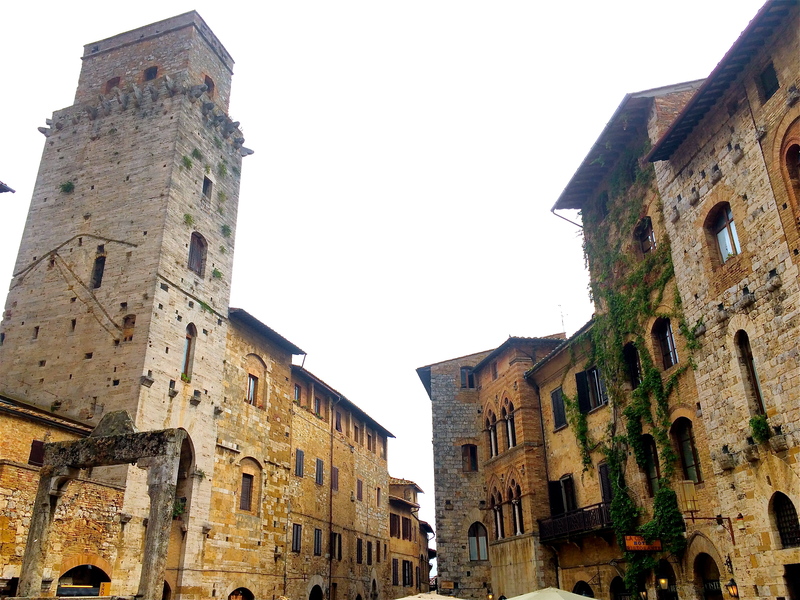 After snapping a few photos with the Leaning Tower of Pisa, we drove through the scenic Tuscan countryside and arrived at the historic town San Gimignano. Upon entering the city walls, visitors are surrounded by quaint shops, art galleries, and medieval architecture that the town is famous for. The Piazza della Cisterna is named for its historic well. This gem of a city is not only home to world famous historic architecture, but is also home to Gelateria Dondoli, also known as the most delicious gelato I’ve ever had. Sergio Dondoli, or the man behind Gelateria Dondoli, is a master ice cream maker who won the Gelato World Championship not once, but TWO times since its inception in 2002. A competitor is only allowed to win two times, until they become a judge themselves. After exploring the town for a while, naturally we had to make a stop and try it for ourselves, and we were not disappointed. I opted for a mixture of chocolate and coffee, but there was quite a selection of unique flavors I look forward to trying in the future. The velvety texture, rich flavor, and creamy consistency were absolutely unparalleled and the entire group was in agreement that Gelateria Dondoli is not to be missed! Where is Your Perfect Beach Vacation? Take Our Quiz and Find Out! We Have The Prost Fun!